The city of Westcrown is dying. Since being stripped of its station as the capital of Cheliax, the wealth and prestige of the city has gradually slipped away, leaving the desperate people to fend for themselves in a city beset by criminals, a corrupt nobility, and a shadowy curse. Amid the turmoil, heroes raise the banner of freedom, and the streets will run red with liberation. 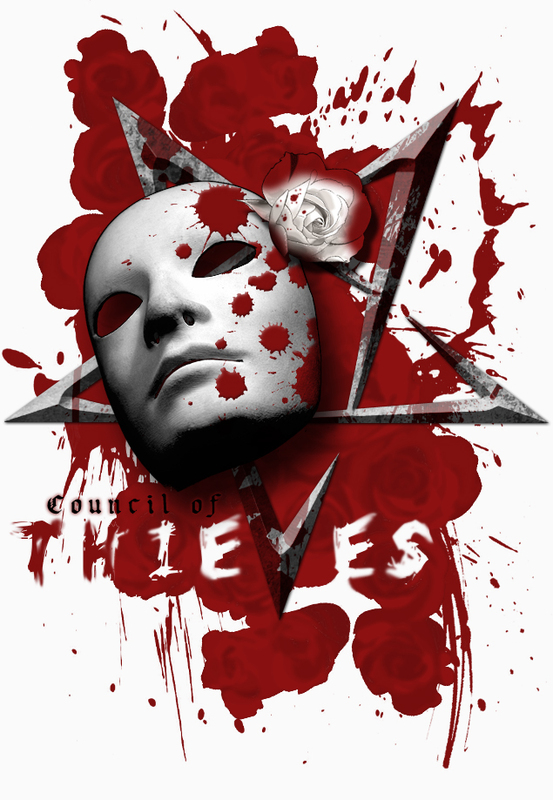 Council of Thieves is a story focused around the beginnings of a rebellion that will historically turn into the Westcrown Liberation War. The characters participating in Council of Thieves are historical figures that will become renown for their successes or failures in the decades to come. Your character should be willing to participate in a civil uprising against a corrupt aristocracy. The Riddle of Steel: Your character will in the course of the story receive a signature weapon through unusual circumstances. This weapon will be tied to a sub-plot that runs through the entirety of Council of Thieves and involves a greater meta-arc in Golarion. Please see the Council of Thieves Player's Guide for a wealth of helpful information! Critical Hit Cards: We will be utilizing Paizo Publishing's Critical Hit deck for Council of Thieves which adds a variant rule to your critical hits based on the type of weapon you wield. All players in the revival of Council of Thieves begin play with $3,000gp. Bound Together by a sense of justice, a group of unlikely allies in the city of Westcrown join forces with a band of rebels with the intent of overthrowing the corrupt Westcari Aristocracy and the iron-fisted military policing of the Hellknights' organization. Donning masks and cloaks to conceal their identities, the self-proclaimed "Knights of the Bleeding Rose" have earned a reputation for fairness and justice in the city, though their greatest challenges lay ahead.